Tauranga Blog: Tauranga Blog is Now Online! Tauranga Blog is Now Online! Finally Tauranga Blog is online! Tauranga Blog is made to inform the fellow residents of Tauranga of new Updates and Improvements in the city. Tauranga Blog will also consider your opinions very highly. A ship arriving at the Port of Tauranga, New Zealands largest Port. I am a normal resident in the city of Tauranga, but I wish to remain anonymous for personal reasons. I live in the ever expanding suburb of Pyes Pa, in a rural type house in a quiet street. I like to see Tauranga grow into a national hub and regularly keep up with the local politics. What Is Tauranga Blog's Purpose? The $455 Million Tauranga Eastern Link. The proposed Waterfront Design of which the playground is done. 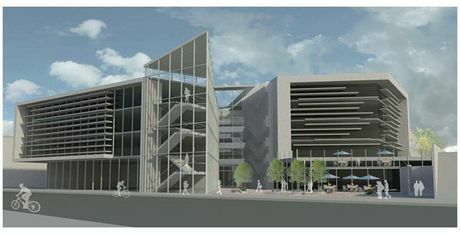 The Anticipated Uni Campus in the Tauranga CBD.